Paradise does exist and you don’t have to go to heaven to find it. You just have to go the country which is known as “Truly Asia”- Malaysia! 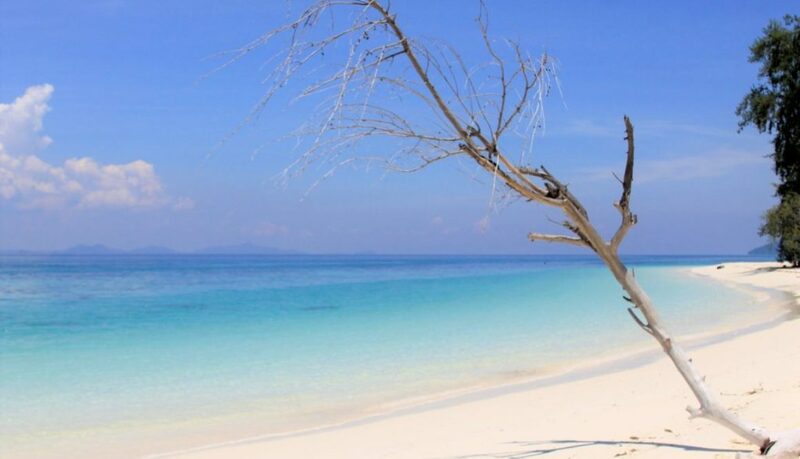 In the east coast of Malaysia lies an island so pristine that it takes anyone just one glance to fall in love with it. 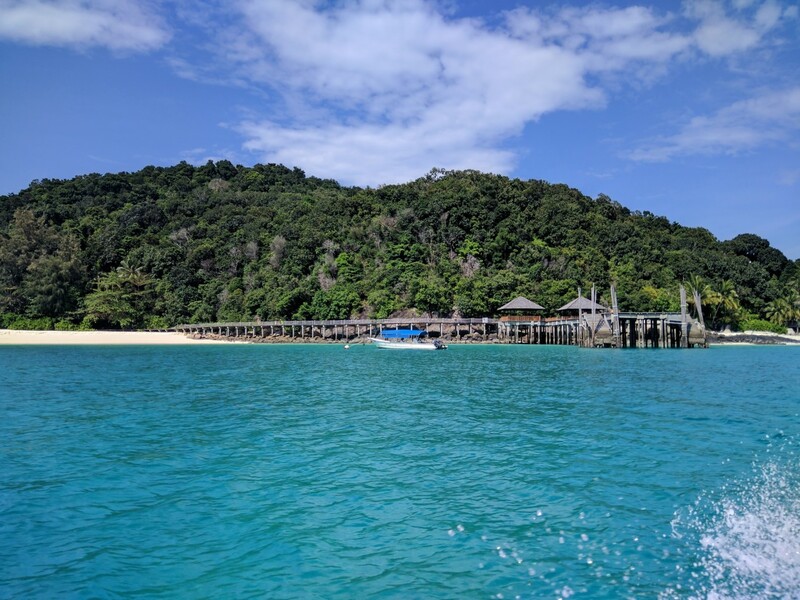 Pulau Besar is Malaysia’s response to all those who think Malaysia is less beautiful than its Asian neighbours, (read Indonesia or Thailand). 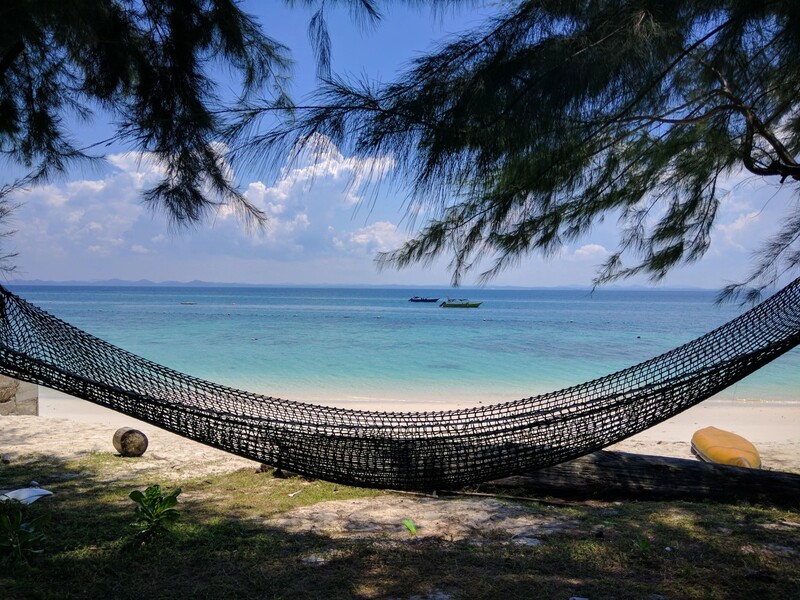 Before we explore the many reasons Pulau Besar is the ultimate paradise on earth, let’s take a quick look at how to get here and when is the perfect time to visit. If you are traveling from Singapore and need a quick itinerary, scroll all the way down and you will find our itinerary. From Singapore- book a bus ride to Mersing jetty which will take 3-5 hours roughly. From Mersing jetty, Pulau Besar is a 30 minutes boat ride away. There are no regular ferries but the accommodation you choose will have packages that include two-way ferry transfer. 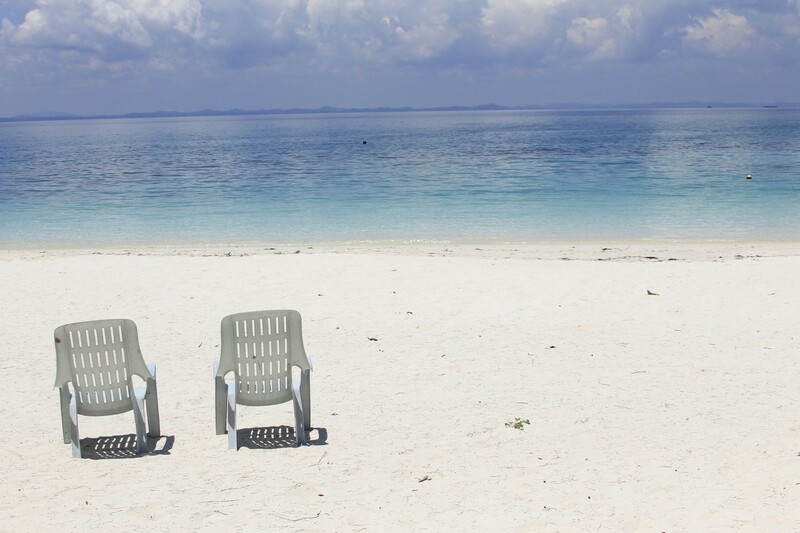 When is the best time to visit Pulau Besar? Anytime but monsoon! From late October-March, the east coast of Malaysia faces the wrath of monsoon. The sea is completely unpredictable during this time and so is the sky. Many of the islands actually shut down during this time! 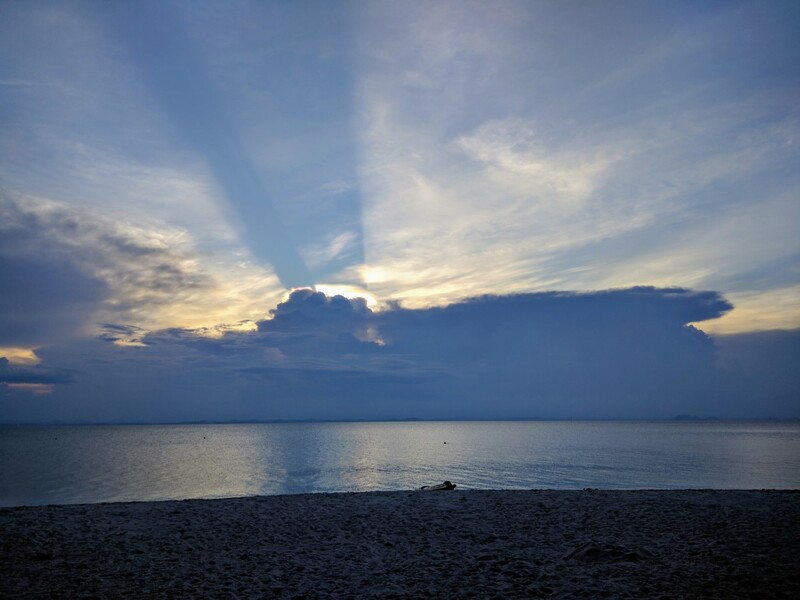 If you are willing to risk it anyway, you should read about my journey to Pulau Kapas during monsoon–quite an experience! My suggestion is to visit during late September or early October, which is what we did. We found the best weather and yet almost no tourists! Now that we have covered the basics, let’s find out why you must include this tropical paradise in your Southeast Asia itinerary. 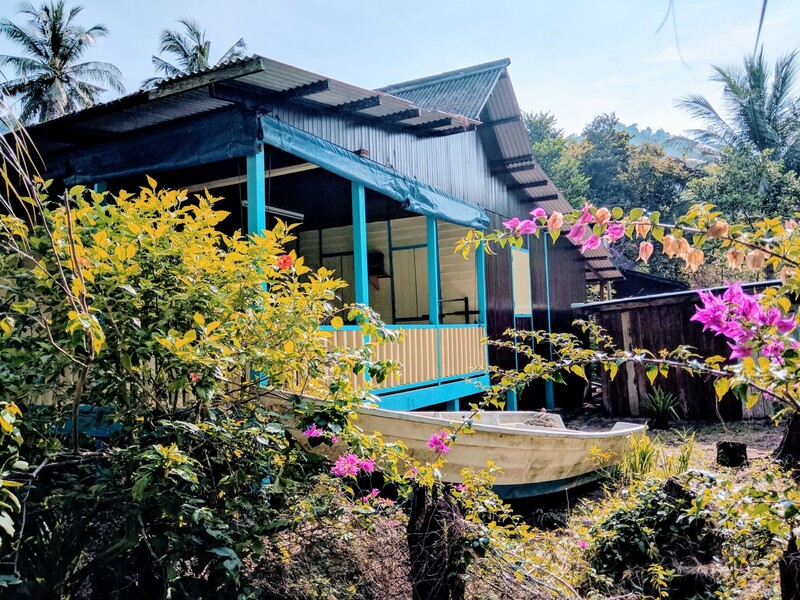 What makes Pulau Besar a tropical paradise? 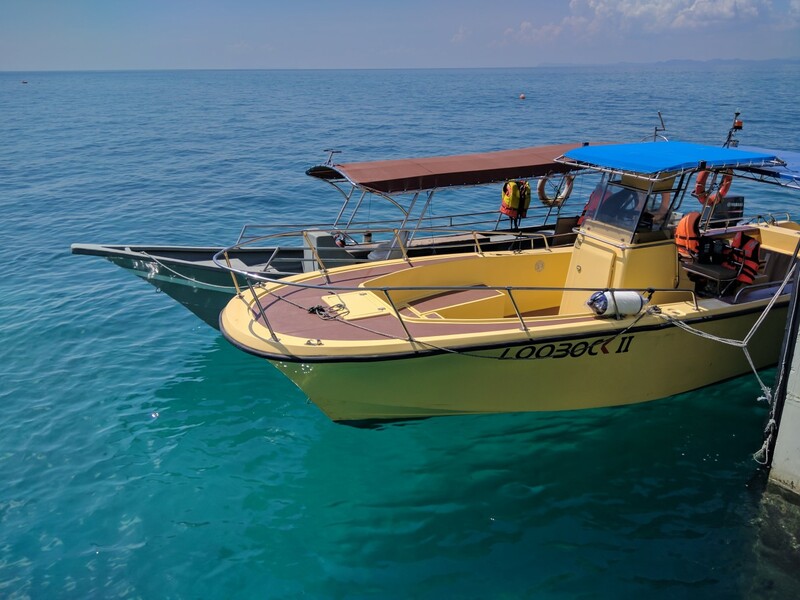 My first thought when I landed at Pulau Besar was “Wait, is the boat floating in air?” The water is crystal clear and beautifully turquoise for most part. Towards the horizon, the water displays different shades of blue, almost mimicking the colour of the sky. As we stepped on the island and began walking towards our hotel, a thousand shades of blue greeted us every step of the way. If you have ever closed your eyes and dreamt of the perfect tropical beach, open your eyes here and you will realize that your dreams just came true. We could not wait to let our toes touch the sand. We finished the check-in formalities quickly and almost ran to the beach. The wide stretch of pure white sand welcomed us and as we took the first step on the beach with our naked feet, we almost jumped with joy. The sand was soft as powder and the feeling of letting our toes sink into it was simply magical. 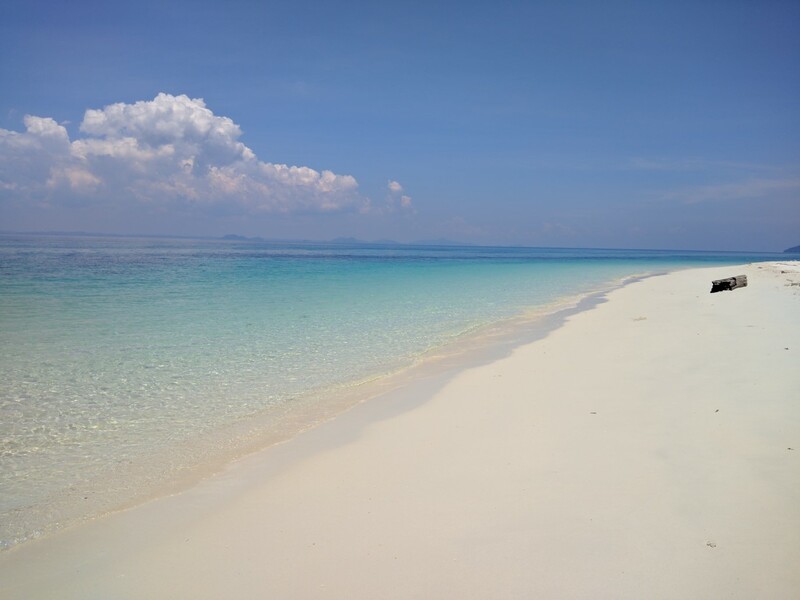 As we looked around the infinite stretch of white sand giving way to the crystal clear turquoise water and few puffy clouds, we knew we had found paradise. You know how people pay thousands of dollars to spend a few days on a private island? Well, in Pulau Besar you can almost do the same for 1/10th the price. It is not a private island but the number of travellers was so few, you might as well call it one! Even in the middle of the day, we found only 3-4 people on the beach near the hotel and if you happen to walk a few more steps, you will not find another soul in your vicinity. So, we didn’t just find paradise, we found paradise on sale! Most famous tropical islands have been highly commercialized. As a result, the accommodations near the beach are always super expensive. The cheaper ones are almost always far inside the island. 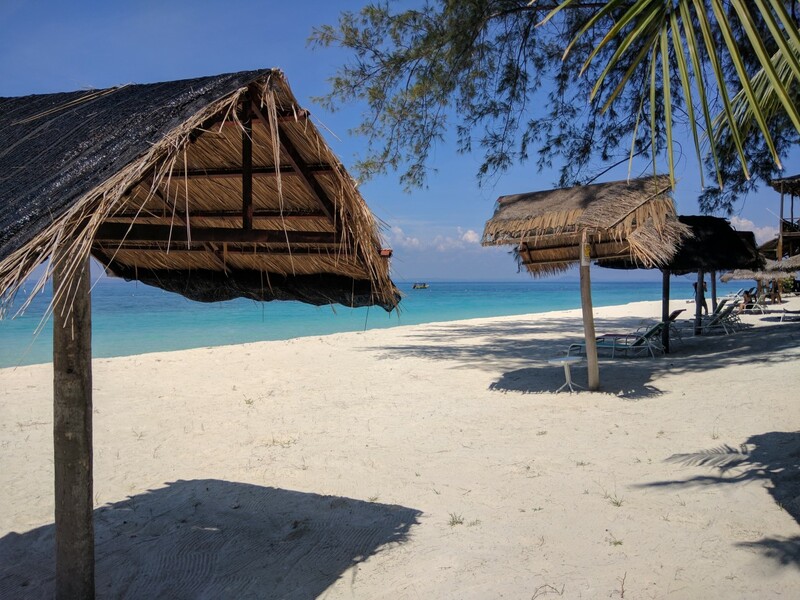 Even in the famous Gili islands, the entire beach is crowded with villas and beachside restaurants. Thankfully, Pulau Besar has not faced the wrath of commercialization yet. There are only 3-4 hotels on the entire island and they are all right by the beach. This means you can run up to your room if you need anything and just walk back to the beach, which is exactly what I did! Even better, you can sit in their restaurants and stare at the sea while you savour your meals. Talk about dining with a view! Now that we had found paradise, we wanted to spend some time just soaking it all in. After walking on the beach and getting some food, we found the perfect place to laze away for an hour or so to enjoy the scenery. Yes, that place was a hammock right by the beach! And if hammock is not your thing (which I don’t even think is possible, I mean c’mon, everyone loves hammocks! ), then there are plenty of swings too, right by the beach! After lazing on the hammock for over an hour, we realized it was time to go for our snorkelling tour. Oh did I mention, we had given our names for the snorkelling tour when we checked in! 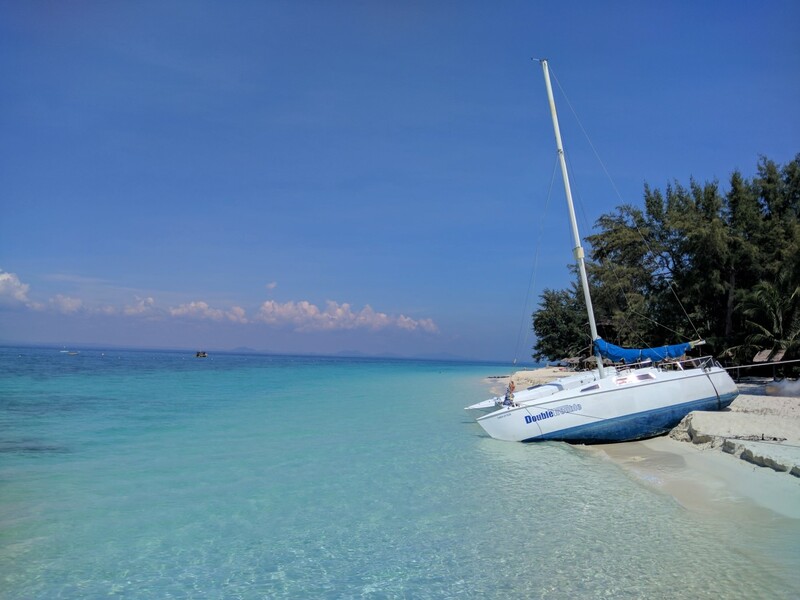 Well, Pulau Besar may not always rank as one of the best snorkelling spots but its neighbour Pulau Tengah does and it’s for a reason. 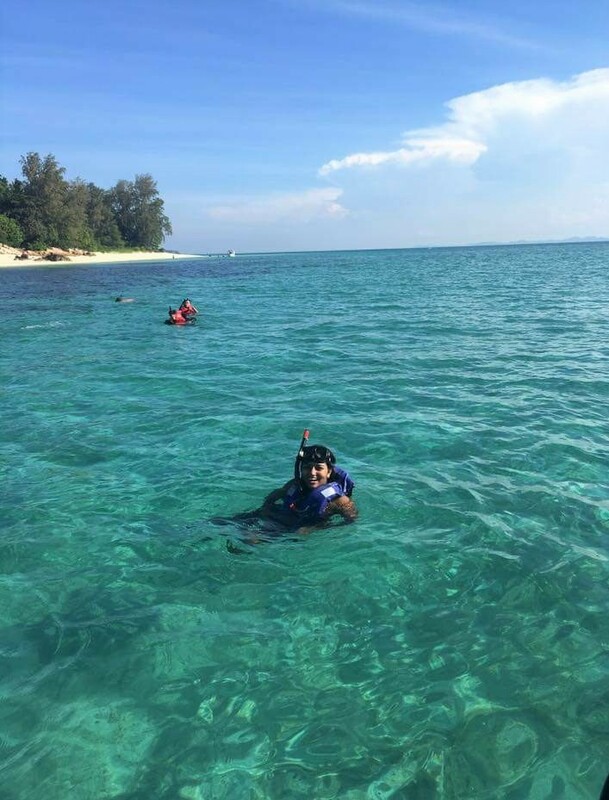 The snorkelling trip covered 3 nearby islands among which Pulau Tengah was undoubtedly the most memorable one. My first attempt at snorkelling in these islands was not very pleasant. Our guide barely gave us any instructions. He just gave us our gear and let us jump off. Many of us were not wearing life jackets either. It took me a while to get used to it and find the area which is rich with corals. By the time all these happened, we were already heading to our 2nd island which was Pulau Tengah. I had read about this beauty earlier and was super excited to actually be here. I lowered myself into the water and while trying to find the coral-rich area, I did not realize that suddenly I was right on top of a lot of corals which were very close to the surface. Scared and agitated that I might bruise myself, I tried to swim away from it but only landed on more corals. It seemed like a never-ending stretch of marine life. However, after moving around for a while, I calmed down a little and started enjoying the view. I was awestruck at the beauty of the marine life here. Some stretches were vibrant and displayed colourful soft corals and anemones whereas some stretches were full of huge hard corals. I can still vividly recall one particular never-ending stretch which was full of pale greenish hard corals. They looked like hands popping out of the seabed and at some point, I felt like I was exploring the remains of a dead city. This scary thought immediately vanished from my mind as I suddenly passed through a bunch of colourful fish. This is one of my favourite feelings about snorkelling or diving, swimming with the fishes. Somewhere around this time, water clogged around my goggles and as I floated around to clear it, I heard two guys loudly discussing about almost bumping into a stingray! As much as I love adventure, safety always comes first. I decided to return to the boat but when I did, I had this intense desire to jump into the sea. Hence, I opened my life jacket and plunged into this beautiful water, away from the corals of course! 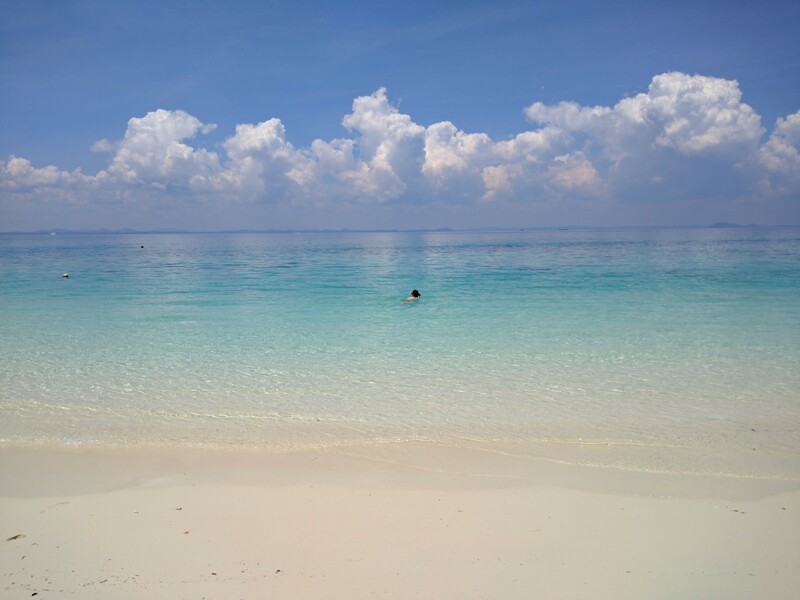 I love floating and swimming in the sea because the salty water makes it easy to stay afloat. For those few minutes, I was away from all my worries. For those few minutes, I was at absolute peace. For those few minutes, I was happy to be able to live on this beautiful planet and explore all its beauties. Right at that moment, I knew that the trouble of waking up at 5 am on a Saturday morning and travelling all the way to another country just for 1.5 days was totally worth it. I was so lost in my thoughts that I almost missed the whistle of our guide who was calling us back to the boat. I quickly swam back to the boat and before I knew it, we were cruising back to Pulau Besar. We had yet another opportunity to snorkel here but the marine life here was nothing compared to that of Pulau Tengah. Alas, we were back to our own little island but the day was far from over. 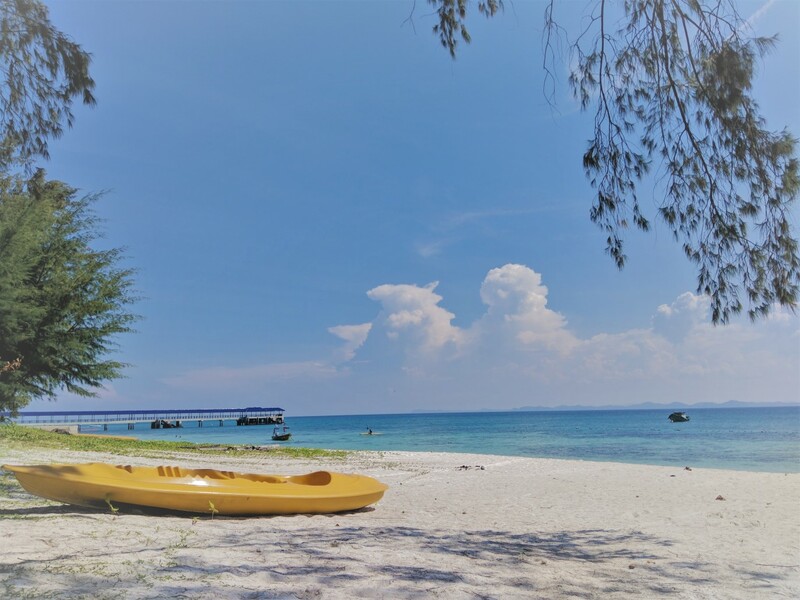 Our receptionist, Fitri, had promised us to let us rent a kayak for free because the guide who usually shows people around the beach was not available. So I overcame my tiredness and set off into the sea once again, before the sun went down. It was a double kayak and I was the only one as my friend decided to rest for a while and moreover, it was an open deck kayak. Open deck kayaks are very stable but slower than the closed deck ones. I paddled for a while and let the warm sun rays comfort my drenched body. As the time for sunset began to approach, I quickly paddled back, dragged my kayak to the shore and went into the sea once more, for one last time. Soon, it was time for sunset, the golden hour. I rushed back to my room to get my camera but realized that the massive clouds were shadowing the sun. But as they say, every cloud has a silver lining and this one surely had one. In most places, sunset spots are filled with tourists at the golden hour but here even at sunset, you have most of the beach to yourself. So, we lay our bodies on the beach chairs and stared at the magnificent rays of the sun that glowed all around the dark clouds and sometimes shot through the clouds like a beam, into the sky! After sunset, our stomachs growled and we desperately hoped that dinner was served. Thankfully, it was and what a delicious buffet it was! Not the fancy buffets you find in 7-star hotels but each item was as delicious as the previous one. We ate, drank and ate some more! Oh did I mention, we were dining with a beach view and there were candles all around! After our candlelight dinner, we were hoping to find someplace with music and considering the island had only a few hotels and restaurants, our options were limited. Nevertheless, we walked around and found live music in ASEANIA Resort’s open-air restaurant. 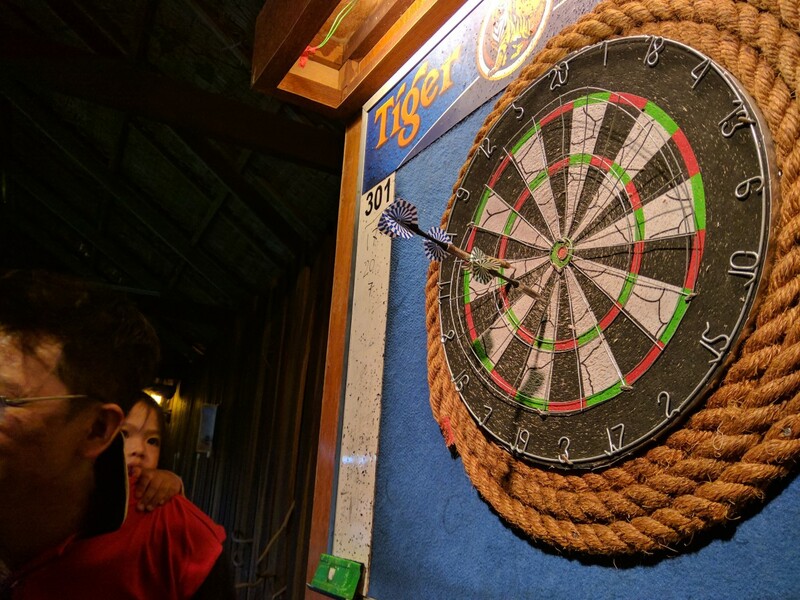 A few minutes later, we spotted a darts board and decided to give it a try. Suddenly, a local Malaysian family joined in and offered to play with us. We thought, why not! Over a casual game of darts, we met their young children and spoke about their lives. They both ran a business together, I can’t quite recall the nature of it right now though. The live music carried on in the background as if the night was still young! At some point, their kids were beginning to fall asleep and we bid each other farewell. We waved goodbye to the singer too and spent some time enjoying the cool sea breeze on the beach chairs before retiring for the night. I am not an early bird, but since it was Sunday and we were leaving in a few hours, I did not dare to sleep till late. As soon as I freshened up, I took to the beach to explore the rest of the island on foot. Yes, the island is that small and there is no other form of transport. I walked on the beach and also in the more forested areas. I found cute little houses and broken boats which I presumed to be abandoned due to the lack of any visible activity nearby and also came across the hiking route. If you love hiking, then Pulau Besar offers that too. So, get your hiking shoes and go right to the top of the hill because the locals say the view is worth it. Isn’t this place just perfect? As I returned from my small trip around the island, I met my friend swinging by the beach and talking to a few Malaysian travellers who were also exploring these islands. A quick chat with them gave us many more travel ideas. After all, who knows the country better than the locals right? The conversation was cut short due to lack of time as we had to catch our return ferry soon. We took one last glance at this paradise and with a heavy heart, walked to our return ferry. 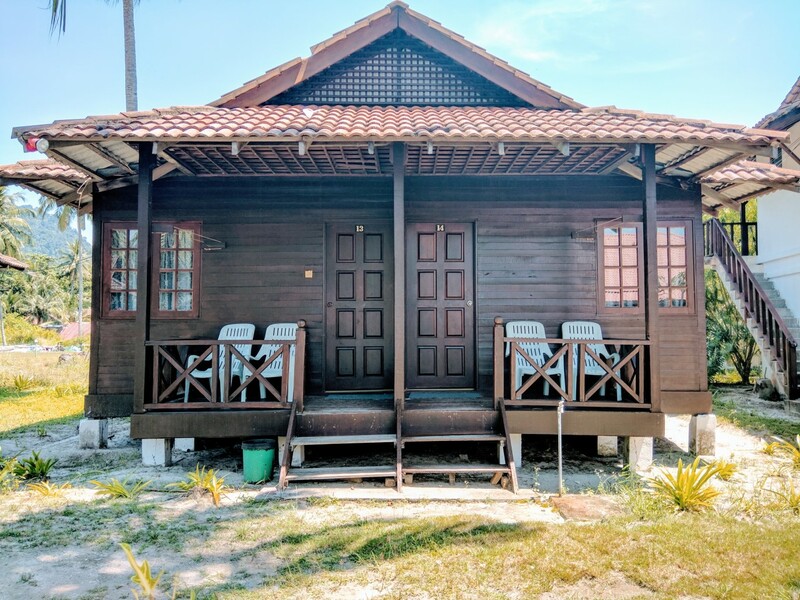 Where to stay in Pulau Besar? 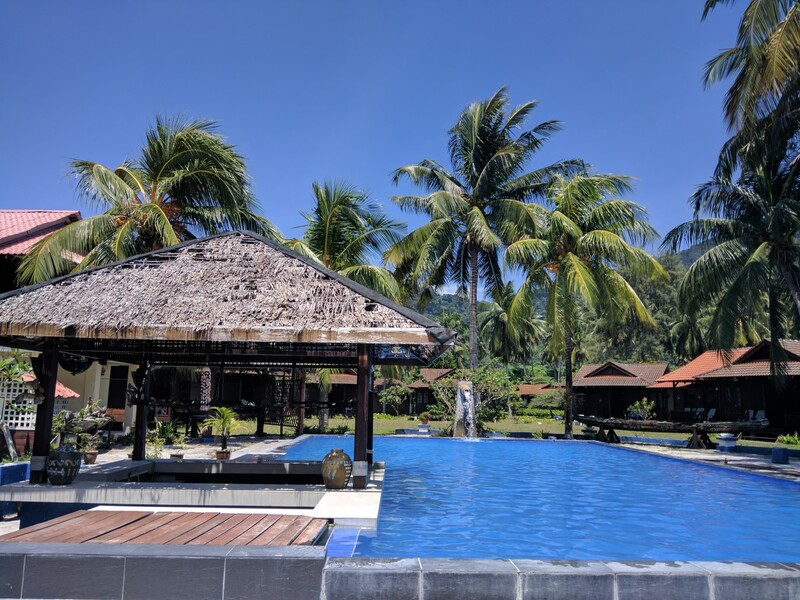 We stayed in D’coconut Resort in Pulau Besar and we couldn’t be happier with our choice. Although it was a last minute booking and by that I mean one week before our trip, we had no troubles. We opted for their 2D 1N package that includes a big air-conditioned room, two-way boat transfer, 2 breakfasts, 1 lunch and 1 dinner per person and a free guided beach tour. They have a lovely pool too! It was a weekend trip from Singapore. The whole trip costed us about 200-220 SGD per person which is about 150-160 USD approx. Of course, it was cheaper because we shared the room cost. 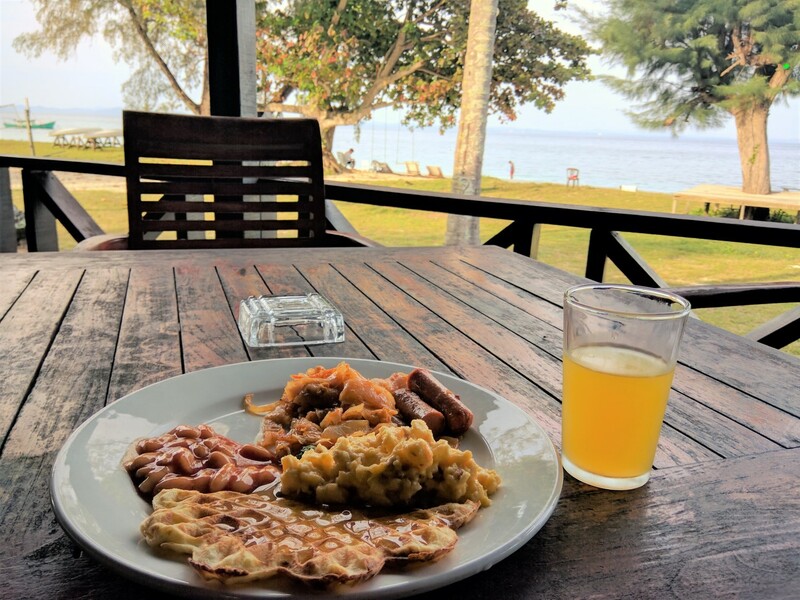 This cost included two way bus tickets from Singapore (almost 70-80 SGD), the snorkelling trip (RM 90~ 30 SGD), a small marine conservation fee , a bit of snacks shopping in Mersing and the D’coconut Resort package. If you want to hike to the top, then make sure you stay for 2 nights. The hiking trip and the snorkelling trip are both in the afternoon! If you enjoyed this post, don’t forget to follow my adventures on Facebook and Instagram.